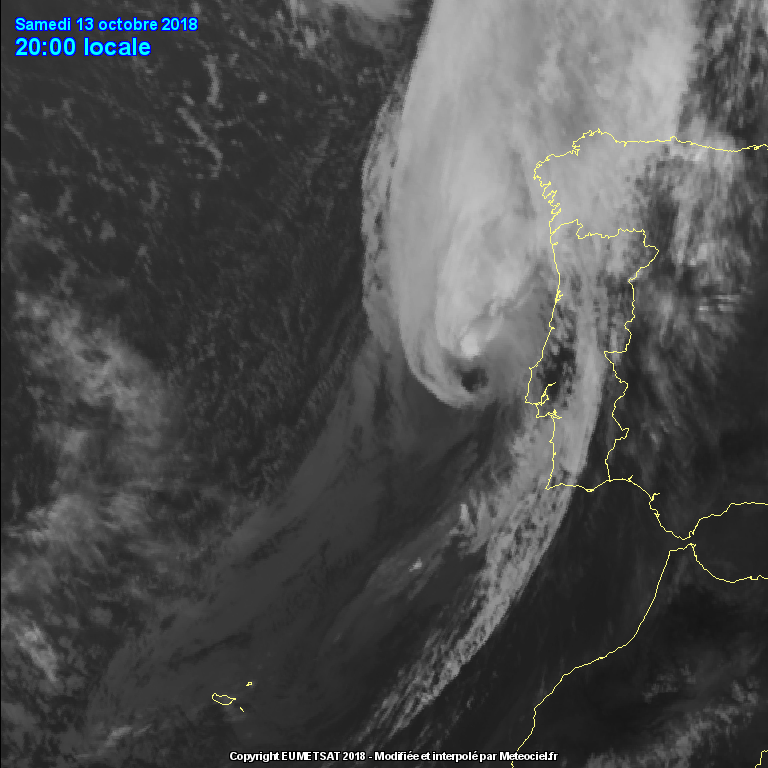 As expected by most of the global and high-resolution models, ex-hurricane Leslie made intense landfall in western Portugal during the night October 13/14th. 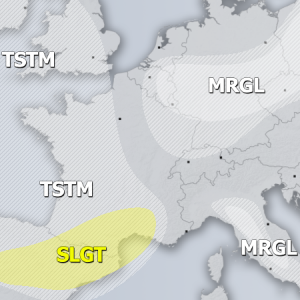 A ‘sting jet’ most likely developed on its rear side (southwest quadrant of the storm) and resulted in extremely severe wind gusts up to almost 180 km/h. Leslie made landfall with top sustained winds of 70 mph (115 km/h), just 3 hours after being declared post-tropical. Leslie maintained hurricane status into the far Eastern Atlantic to a location where no hurricane had ever been observed: just 200 miles west of Portugal at 15 UTC, Oct 13th. 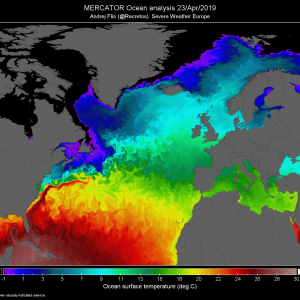 At 18 UTC, Leslie arrived over the cold 20 °C Atlantic sea waters while the cold front on its northwest accelerated it. Leslie then became an intense extra-tropical storm. 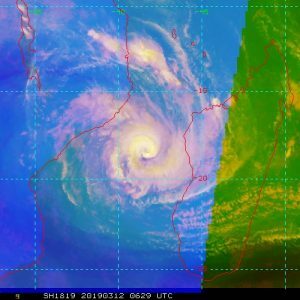 Hurricane Leslie first traveled very close to Madeira island on Saturday afternoon and resulted in major waves smashing the coastal areas. Leslie then soon made the transition from a tropical into an extra-tropical storm. 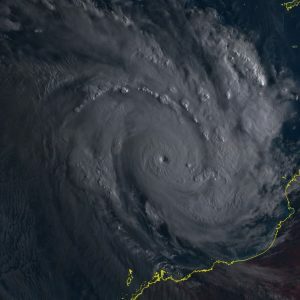 It rapidly moved towards the coast of Portugal in the evening hours. Attached is the Infrared satellite animation of the storm nearing Portugal. 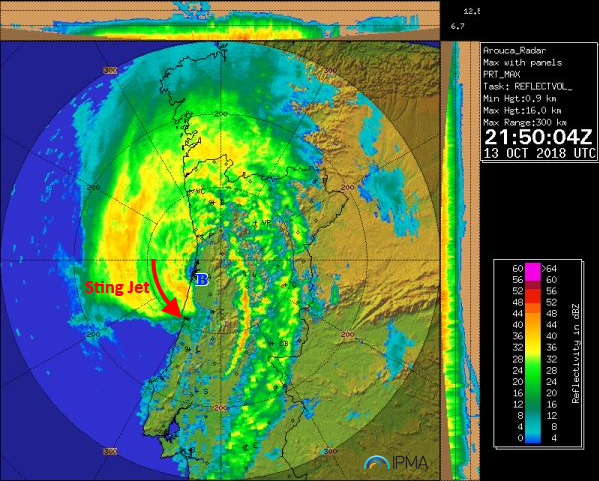 Radar image & animation by IPMA agency revealed a healthy developed sting jet signature just an hour prior to landfall of Leslie near the city of Porto. 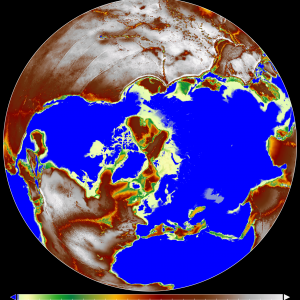 A sting jet is a relatively localized jet of rapidly descending cold air inside a deep extratropical cyclone. 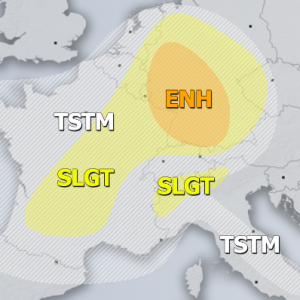 It can bring wind gusts in excess of 150 km/h and cause extensive damage. 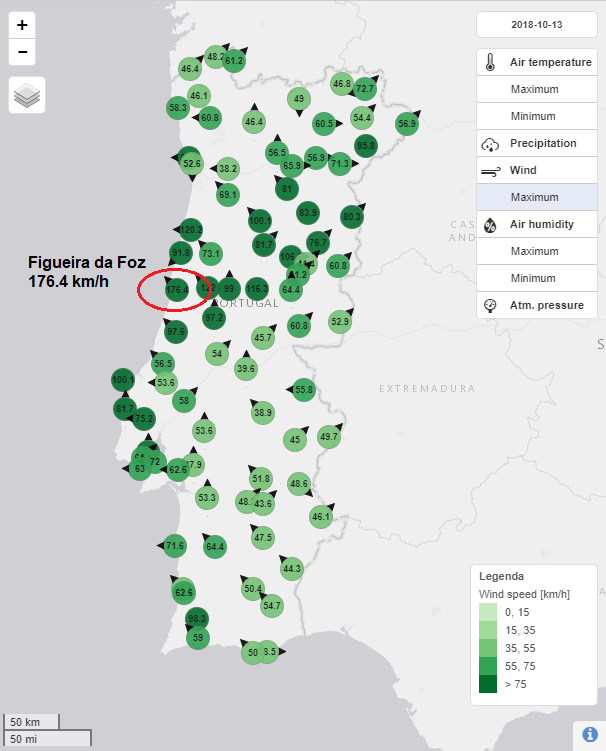 Extensive damage in the town of Figueira da Foz where peak gusts up to 176.4 km/h were reported, numerous uprooted trees, damaged roofs and overturned trailers were reported! What is a sting jet?